Pamela J. 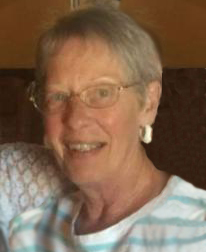 Rose, 70, of West Bend, lost her battle with cancer and passed away on Sunday, February 3, 2019, at Kathy Hospice with her family at her side. She was born on May 21, 1948, in Gettysburg, South Dakota, the daughter of the late David (Ted) Stroup and Verna Frazier. Those Pam leaves behind to cherish her memory include three children, Michelle (Todd) Thomas, Suzanne Rose - both of West Bend - and Donnie (Courtney) Rose of Waupun; grandma to Ashley, Steven and Jessica Thomas, Gage and Gavin Welch and Greyson Rose; two brothers, Calvin Stroup of Lompac, CA and David Stroup of Gettysburg, SD; and other family members and friends.